When you are a High School Senior Photographer you’ve got to know how to shoot the traditional cap and gown. It can get boring and ordinary real quick. Here area a few examples to give this classic look a boost in creativity! Details! Details! Details! In the above shot I was trying to capture the 2017 (with the wind blowing like crazy, haha!). 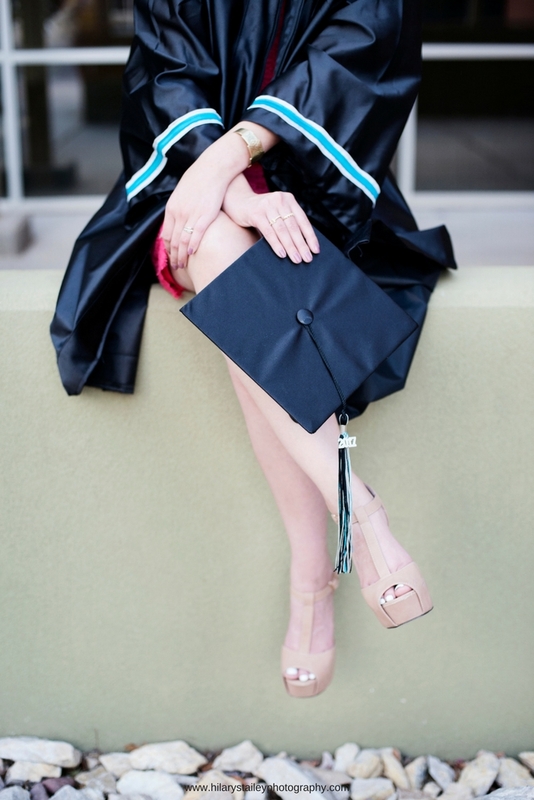 After I took a few pictures, I looked at the back of the camera and realized I was getting more than just the tassel. I was able to capture her gorgeous makeup. And the below photograph shows not only the colors of the school on the sleeves, but the beautiful nails and jewelry so meticulously picked out. Since I graduated, um… blank… amount of years ago, I wish I had these detailed shots of the style of make up and jewelry worn. Capture the detail! I recommend keeping the gown unzipped over the graduation outfit. It is much more flattering this way. Getting the soon to be graduate to walk toward you is a lovely look when the gown flows with the breeze, as you can see below. Keep your client happy and smiling! This is such a momentous occasion and they want to look back at the pictures and remember the excitement of the experience. 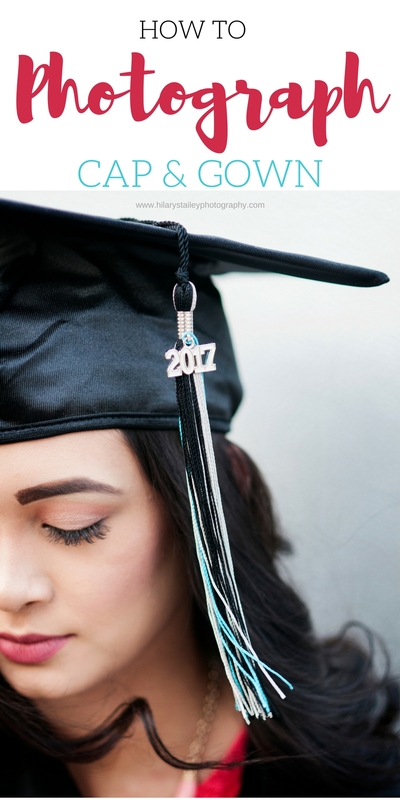 I would love to see other photographers ideas on cap and gown! Share your favorites!